Daylight Savings is a great time to check your smoke alarms. Tacoma Fire Department would like to remind you that when you move your clock foward this weekend, please also take the time to make sure your smoke alarms are working properely. Ninety-six percent of all homes have at least one smoke alarm. 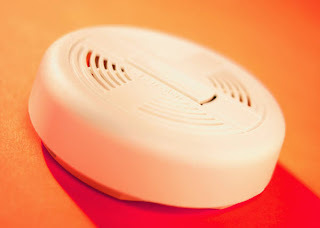 Overall, three-quarters of all U.S. homes have at least one working smoke alarm. No smoke alarms were present in 43% of the home fire deaths. In 22% of the home fire deaths, smoke alarms were present but did not sound. The death rate per 100 reported fires is twice as high in homes without working smoke alarms as homes with working smoke alarms. For more infomation on smoke alarms visit the United State Fire Administration or National Fire Protection Association. Narrative: On Monday March 2, 2009 at 5:20 pm a Tacoma Fire Department (TFD) engine company (E-14), medic unit (M-1) and fire boat (Commencement) responded to a report of an overturned canoe with occupants in the water at Owens Beach. Crews responded to the beach and pursued the drifting boaters on foot, hoping to assist the victims with a rope rescue. Fire Boat Commencement responded from quarters on the Thea Foss waterway and Medic 1 staged at the Point Defiance boat launch. With the fire boat still many minutes behind and the victims drifting beyond the reach of rope rescue along Point Defiance, Lt. Pat Tucci's (E-14) innovative solution for this rescue was to call a friend who resides at Salmon Beach. Luckily the friend was home and he was able to locate the drifting boys as they passed from Lt. Tucci's sight. Using cell phones and with the assistance of private boats from Salmon Beach (also summoned by Lt. Tucci) the fire boat was able to locate the boys and successfully complete the rescue. Tacoma Fire Department is grateful to all who assisted in this unique rescue situation.